As he did in "La Havre" (2011), the Finnish writer-director Aki Kaurismaki complicates the deadpan attitude and minimalist style that have become his trademarks with a new concern: the plight of refugees who increasingly have come to seek shelter and opportunity in Scandinavia. The story follows the intersection of two characters. 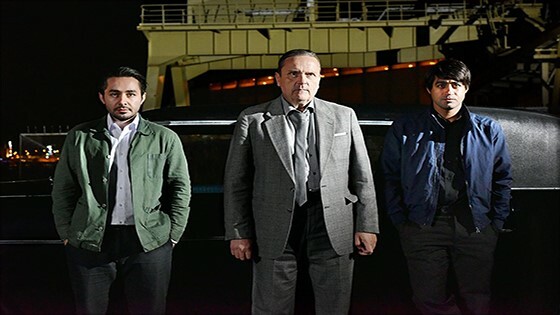 The Syrian Khaled, a mechanic who stows away on a freighter to Helsinki, and Wikström, a traveling salesman who wins big at poker and buys himself a restaurant with the proceeds. When the authorities turn down his application for asylum, Khaled is forced underground and Wikström finds him sleeping in the yard behind his restaurant. He offers him a job and a roof over his head and, for a while, they form a utopian union with the restaurant's waitress, the chef and his dog. The Guardian applauded the director for his "unselfconscious directness and avoidance of cynicism or defeatism, at once unsentimental and yet almost childlike."